Bobby W. Edmiston was elected as the Bossier Parish Assessor in November 1998. Bobby is a native of Bossier Parish, Louisiana, and a graduate of Airline High School, class of 1979. He attended Louisiana Tech University where he earned his Bachelor of Arts degree in 1984. Bobby is married to Miche’al Holdsworth. He has two children, Ashley and Jesse, and one step son, Kade Keene. Prior to his election as Bossier Parish Assessor, Bobby worked in the banking industry for 14 years. He ended a successful banking career with Bank One as a Business Development manager. Bobby met the educational requirements to become a Certified Louisiana Assessor (CLA) in November 2000. He has completed over 300 hours of education in International Association of Assessing Officers (IAAO) courses. 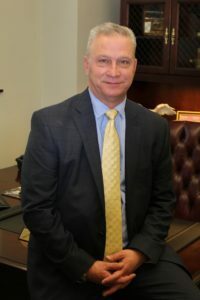 His professional organizations include the IAAO and the Louisiana Assessor’s Association, where he serves on the Legislative Committee and as PAC Chairman. In addition to his local government service, Bobby has also been giving back to the Bossier community in a variety of ways. Bobby is committed to operating the Assessor’s Office in a manner that is beneficial and convenient for the taxpayers of Bossier Parish. He would appreciate any comments and suggestions so that he may better serve you.